click photo to enlarge Etiwanda is about 5 or 6 miles away from us. 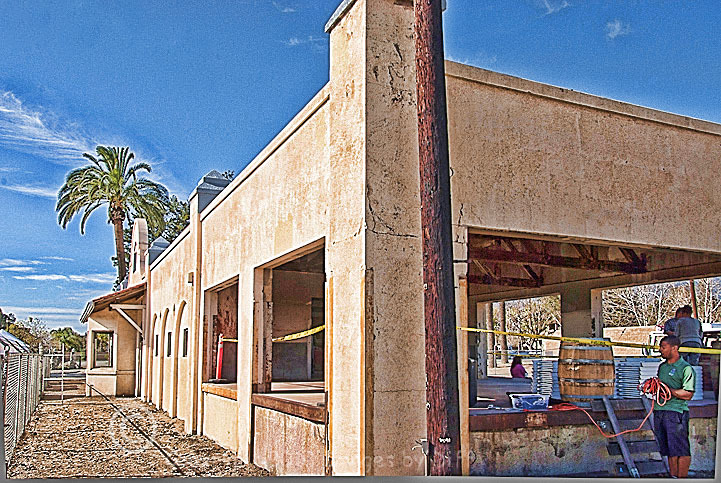 They have this old train station they are trying to restore so they had an open house for it. 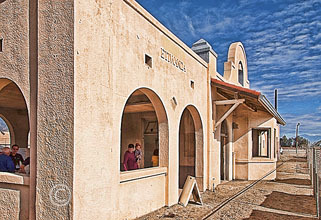 Etiwanda is one of three unincorporated comminutes that became Rancho Cucamonga in 1977. 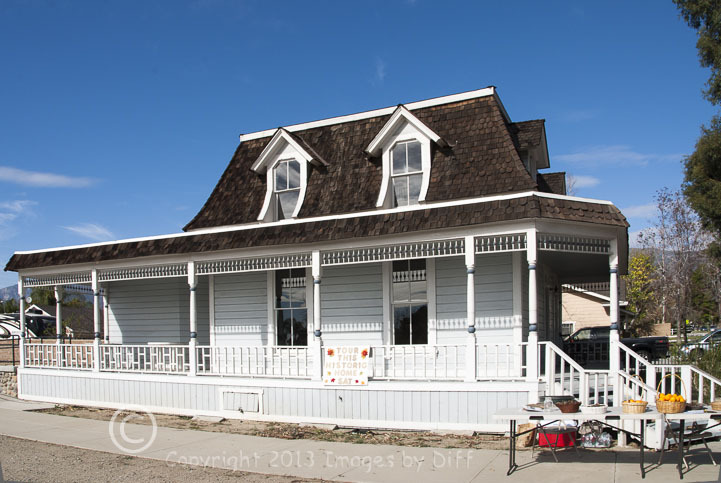 It took me about 11 years to finally visit the Chaffy Garcia house and Karen had never been to it so here we were. 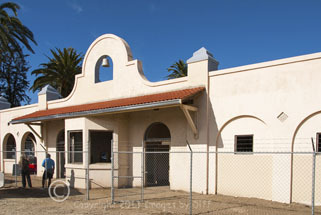 This train station was part of the Pacific Electric Railway which connected San Bernardino to the east and Los Angles to the west. The tracks have been removed and an all purpose path put in place. click photo to enlarge The picture directly to the left is the Etiwanda Community Church between the Chafey Ise house and the Chafey Garcia house. 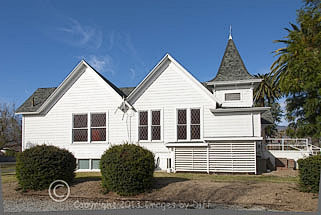 I have been unable to find any history on this church but it is right in the historic area of Etiwanda. The house below it is the Chafey Isle house, a sister house built by George Chaffey Jr. for his mother and sister in 1884.
click photo to enlarge The Chaffey-Garcia House was the only home of George Chaffey, Jr. while he laid out his model colonies of Ontario, Etiwanda and Magnolia (Upland). It was here George erected the first electric light in Southern California in 1882, installed the first concrete irrigation pipe west of the Mississippi, and introduced the first hydroelectric power west of the Rockies. George was then recruited to light the streets of Los Angeles. Later he designed and built the canal that carried water to the Imperial Desert, known today as a result of his efforts as the Imperial Valley.